IDC reported last week that IoT devices will grow from less than 20 billion today to 30 billion in 2020, and then to 80 billion in 2025; by 2025, there will be 152,200 new connected devices every minute. Everything we have of value will be connected to the internet. Imagination: Up until recently every thing around us was dumb. Books, for example, have been around for 1000s of years. Then came e-readers, and specifically the Kindle. The fact that books can be obtained immediately is a nice benefit, but not particularly game-changing. The ebook is a big deal when you factor in things like search, built-in dictionary, synchronization between devices, and crowd-sourced highlights. Smart things make dumbe things look pretty shabby. Books are just one example, we are surrounded by dumb things and that doesn’t even count all the potential smart things that don’t exist currently as dumb. It’s time to re-imagine things – books, cars, scales, paper, etc. and what they could id if they were smart. Expectation: When the concept of Tivo was new it was hard to explain and understand. The ability to “pause live TV” inherently made no sense. It took a few years for DVR technology to become normal. Around 15 years ago while visiting a different home, my young son wanted to pause live TV. I explained that wasn’t an option here, and he found this conceptually very confusing. Why? Why can’t we pause live TV? He considered the DVR so normal feature that he had trouble comprehending a world without it. The notion of normal is always changing. Today we expect devices to be personal and controllable. I tell my (Pandora) radio that I don’t like this song, and it stops playing it immediately and notes to never play it again. Personalization is expected now, thus expect more things to be connected. Processing: Technology generally keeps getting cheaper, but IoT is in the zone. There are three technical parts to IoT, and all three are dirt cheap and getting cheaper. The first is the processors and/or sensors on the devices themselves. The second is the network which varies from sorta cheap (LTE) to free (owner-provided Wi-Fi). The final component is the back-end servers and infrastructure that these IoT devices communicate with, and they are also cheaper than ever (to start and to scale) thanks to cloud-infrastructure services. This triple play of savings means it’s a great time to create new IoT products and services. Accessible large market: A farmer can grow too much corn. Corn has to be picked, distributed, and sold in a narrow time-frame. Transportation costs restrict scale. In other words there are very real and natural constraints to supply in most businesses. This does not appear to be true on the Internet. For whatever reason, people just can’t seem to get enough of the Internet. YouTube has far more video than humanly possible to consume, yet it keeps on growing. New IoT services have access to huge markets with little distribution costs. Security and Compliance: If you return a perishable item to a grocery story they typically refund the price and toss the product. That’s because they have no way of knowing it if was kept refrigerated. This is a actually a big liability for shipping companies. Is the fleet of refrigerated trucks keeping the goods at the right temperatures? Are the dry goods stored in dry conditions? Ice Cream is ruined not only if it melts, but if it is transported through high altitudes because the air escapes and makes it hard. IoT sensors can track shipment for compliance and insurance. The shipping industry (trains, trucks, ships, and planes) will radically change with IoT. They want to track location, environment, security, and more. On a personal level remember the fear that the taxi driver might take the long route? That fear has more or less been eliminated with ride-share services because if they get flagged if they frequently deviate off the recommended route. IoT can ensure that services are performed as they should be. Monitoring and diagnostics: Monitoring information is very valuable. Consider home-arrest bracelets. They do nothing to prevent crimes or physically restrict people, but knowing that a person is where they are supposed to be provides all kinds of benefits including trust building. It becomes really interesting when one time product sales turn into ongoing services due to enhanced visibility. The ability to monitor things can improve the customer experience and opens up new business models. Business Models: Products can become services through IoT. Since IoT can provide management, status, and usage information remotely, some customers will prefer services instead of products. One of the better examples is enterprise printer services. Enterprises are rapidly moving away from buying printers, toner, paper, and maintenance and instead purchasing flat rate or usage-based on-site printer services. Printer makers are rapidly shifting into service companies, and have the impetus to improve diagnostics and remote visibility to reduce their costs. Analytics: Let’s go back to the Kindle for a moment – what does Amazon know about its book reading customers that other book publishers don’t? A lot! Amazon knows things like if the book actually gets read. They know reading pace. They know when and where books get read (based on Wi-Fi), and what types of books are more popular in an e-format. They know how long it takes to complete a book. Amazon can know how often things like the table of contents or search are accessed. They can combine this information with other purchasing habits and information it already obtained for clearer picture of its customers. Analyzing this type of information enables Amazon to improve its book reading experience in ways that traditional publishers can’t. Analytics are beneficial for both the customer and the manufacturer. This applies to all kinds of products and services. For example, for the first time car makers now know how their products are getting used – what speeds, on/off road usage, average trip duration, etc. Analytics often start with customer facing analytics and then expand into detailed internal analytics that drive product/service improvement. BYO-IoT: Software services are cheaper to deliver than actual products. Approaching IoT as applications instead of products eliminates or reduces a significant barrier to entering a market. This can span from trivial to huge savings. Consider restaurants that text when a table is ready (trivial) or airlines that avoid huge costs (and weight) by eliminating in-seat screens and providing flight infotainment services via customer provided devices. 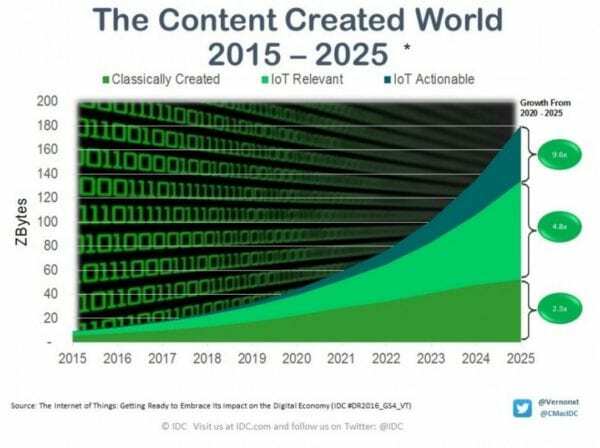 Investment: IoT is a greenfield opportunity. Markets always take time, but replacement markets are much slower. New light bulbs with significant energy savings tend to only get purchased when old bulbs break. IoT has replacement and new elements, and are drawing the attention of lots of investors. It’s a hot category within both startups and large established firms.